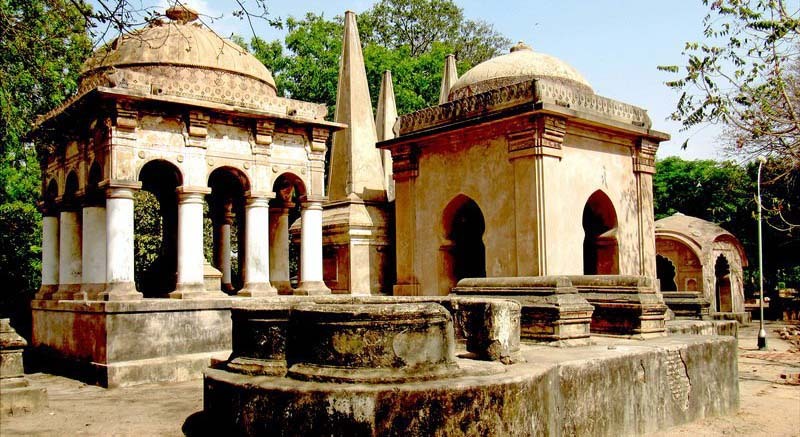 On the left bank of Kankaria tank, on the high ground, is situated the cemetery containing some Dutch and Armenian tombs some of which are beautified with domes and pillars in a fashion which characterized the Dutch, Armenian or English cemeteries of the seventeenth and eighteenth centuries in Gujarat, as at Broach, Surat, etc. The tombs range from about AD 1615 to AD 1700. 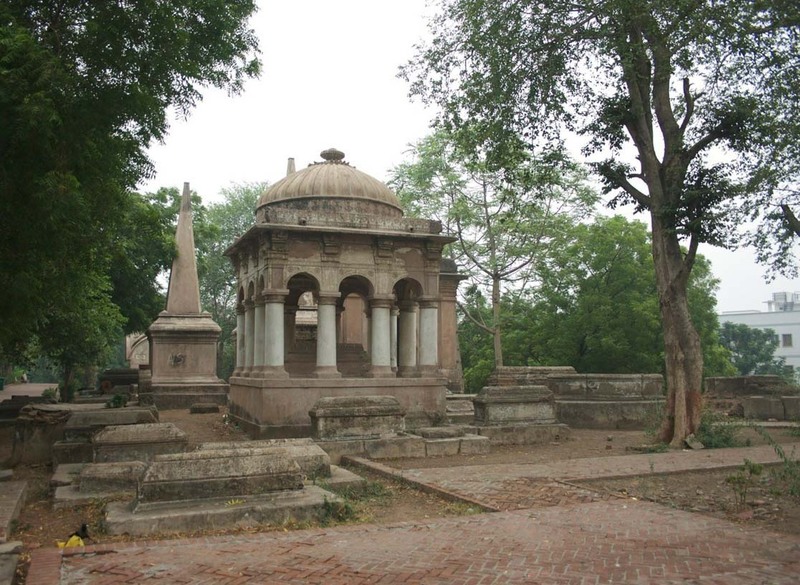 While the Armenian tombs perhaps belonged to the brokers in the Dutch factory (who were in sufficient number in Ahmadabad to have a church), notable among the others will be probably the tomb of Aldworth who established the English Company’s factory at Ahmadabad and died here in AD 1615.